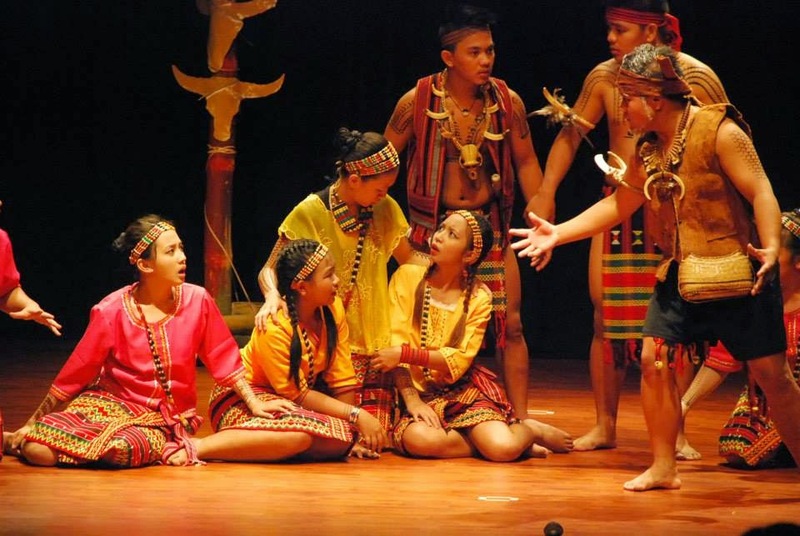 The traditional dances and music of the Cordilleras were accorded a theater treatment in a play concocted by the Aanak Di Kabiligan Community Theater group. Last May, the group which is composed by young artists from Mt. 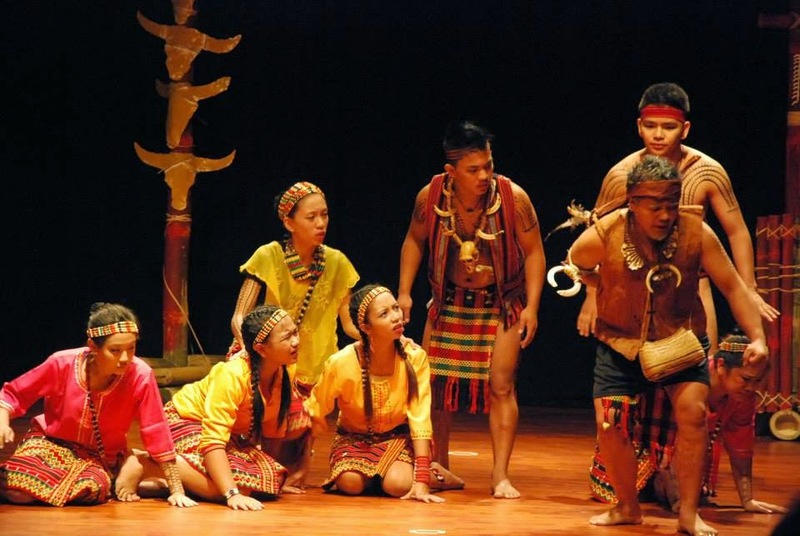 Province, Benguet, Kalinga, Ifugao, and Abra performed one of their creations in front of a lively audience at the TIU Theater in Makati City. The theater play which was inspired by a Kalinga folktale was called Fugtong: A Kalinga Folktale. It chronicles the story of a family being banished from their village because of them owning a black dog. Dark-colored dogs are considered to be sources of bad luck. The half-hour production is rather hard to understand if you haven't fully read the synopsis. The characters in the play spoke mostly in Kankana-ey with sprinklings of Iloko, Tagalog and English. Taking the Makati crowd in mind, it was probably a huge effort for them to follow the progress of the story as the actors played it out. With that said, before you watch the full play in the video embedded further below, it's highly recommended that you read the play's synopsis. Photo from the Aanak Di Kabiligan Community Theater Facebook page. Here's the synopsis for Fugtong. Source: Angelo Aurelio's Facebook page. Aurelio is the director of the play. Also credited with directing the production are Setsu Hanasaki and Poleen Carla Rosito. "Once in a village in Kalinga, there was a family who owned a black dog named Fugtong. However, the Community had a belief that a black dog is bad luck. So the people asked the family to choose between killing the animal and staying in the village or leaving the village with their dog with them. The Family chose the latter. They Settled at a foot of a hill away from the community. One day, the parents asked their two children, Gammi and Mannay, to stay home so they can go to their new UMA (farm). The parents would be staying in their farm for the night so they advised their children to lock their door of the house because there is an anito called a Tangob, a malevolent spirit roaming around. When night came, the anito came knocking on the door. The children refused to open the door but the anito insisted on trying to get in for he would rip off the bamboo floor and use it to stitch the children's intestines and eat it. Fugtong the black dog, got enraged and was able to kill and behead the Tangob, while the children hid at the ceiling of their hearth. Morning came the parents arrived. They saw Fugtong sleeping beside the head of the Tangob, and got worried about their children. They found their children hiding in the hearth, and the children told them how Fugtong protected them. This is how the black dog Fugtong was accepted in the community."